Choice of wine is a very individual matter. There are no rights and wrongs. It is important, however, to pander to customer preferences. Whether you run a bar, restaurant, club or specialized wine bar, you must purchase wine according to the demands of your clientele. If you get it right, profits will soar. But, if you choose wines that aren't a hit with your customers, you end up pouring your profits, as well as the unsold wine, down the drain. Competition. Look at the competition. Keep up to date with which wines are moving well. Read trade journals and publications, such as the "California Wine Growers Institute," to learn more about current trends, or consult the California Association of Wine Grape Growers: 555 University Avenue, Suite 250, Sacramento, CA 95825; www.cawg.org. Regularly review the wine list. Be ruthless - if a wine is slow-moving, remove it from the list. Get ahead of the crowd. Introduce wines from up-and-coming wine regions. Suggestions include: New Zealand Riesling, Gewurztraminer and Sauvignon Blanc for whites, and South African Pinot Noir or Merlot for reds. Storage. Wine is a vulnerable product. One of the most effective ways of reducing costs and avoiding waste is to store wine in the correct environment (temperature, light and ventilation are particularly important). See www.storing-wine.com for handy tips on storing wine. Opened bottles. Establish par levels for each wine stocked behind the bar. Only open as many bottles as you need for one shift. 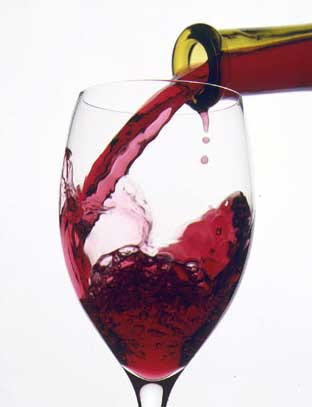 All wines, particularly whites and cheaper house reds, become oxidized and deteriorate quickly once opened. A useful tip is not to pull the cork completely out of the bottle. If a cork is only partly pulled, the wine remains sealed, preventing oxygen from entering the bottle. Cost controls on empty bottles. Count empty wine bottles at the end of each shift. This practice makes sure that bartenders aren't overpouring. For example: you use six 1.5 liter bottles of wine during a shift; your standard portion for wine is 5 ounces; then sales for 60 to 61 glasses should show up on the register tape. Discount premium wines. Discounting premium wines results in a higher potential for profits. It also gives bartenders the opportunity to up-sell customers from standard house wines. This plan works well with "special buys" and wholesaler promotions.